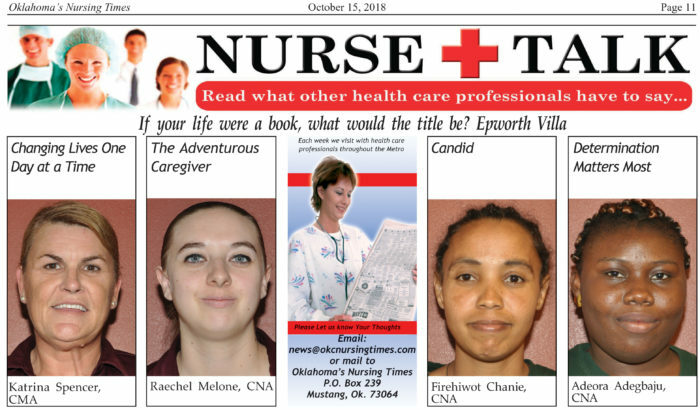 Noelene Morton is the Director of Nursing at Epworth Villa. Caring for others is a true passion of Noelene’s, making her an excellent nurse. Epworth Villa…where their purpose is enhancing lives so people thrive. Their mission centers on providing a perfect balance for each individual as a whole person. This is where you will find the best of nurses, helping the residents in whatever they need. It is also where you will find, Noelene Morton, Director of Nursing, a very cheerful individual, wearing many hats with her numerous responsibilities throughout the day. “I love working here at Epworth Villa,” she said. One of Noelene’s favorite things about her job is when she gets to go out onto the floor and work with the nurses and aides, taking care of the residents. “It brings joy to my heart as I see the hard work and teamwork that the nurses are doing,” she said with a smile. What advice would you give to someone going into the medical field? “I would tell that man or woman to be prepared to put your heart into everything. Yes, there will be some hard days, but it is all worth it at the end of the day,” Noelene replied. Noelene considers herself as a leader and a follower. “I never wanted to be the boss but as I get older, I know that I can step up and be a leader when I want to be. I don’t mind being a follower either; I just don’t like to stand alone. Teamwork is important to me. I am happy doing both,” Noelene commented. Noelene is married to a wonderful husband and has 4 daughters; 27, 22, 19 and 17. “Yes, we have a lot of drama around the house,” she said. “None of them followed in my footsteps to be a nurse but they all have very caring jobs,” she said. “I guess they got that part from me.” Noelene has one precious granddaughter and one grandson on the way. Describing her personality, Noelene says she is bubbly, cheerful, energetic, and adventurous and likes trying new things all the time. When she was a little girl, she wanted to grow up and be just like Quincy, Medical Examiner; A TV show about Quincy, a forensic pathologist. “Oh well, I think I was better suited to be a nurse,” she said with a laugh. Ending with an incident of Noelene’s early years…I was a new nurse at an assisted living facility. An older lady came in, entering each room, searching for one of our residents…her husband. She just knew that her husband was in the room with another woman! The charge nurse was trying to stop the woman from opening up the door to the resident’s rooms, trying to explain what was going on. The nurse had entered the room where the woman’s husband was. As the angry wife entered, she thought the charge nurse was her husband’s mistress. The wife picked up a pitcher of water and poured it on the nurse’s head. Surprisingly, the nurse didn’t get mad and said, sometimes, you just have to roll with it! The nurse didn’t get mad at all. (Perhaps, the charge nurse was flattered at the thought of the wife being jealous of her!) Hmm. 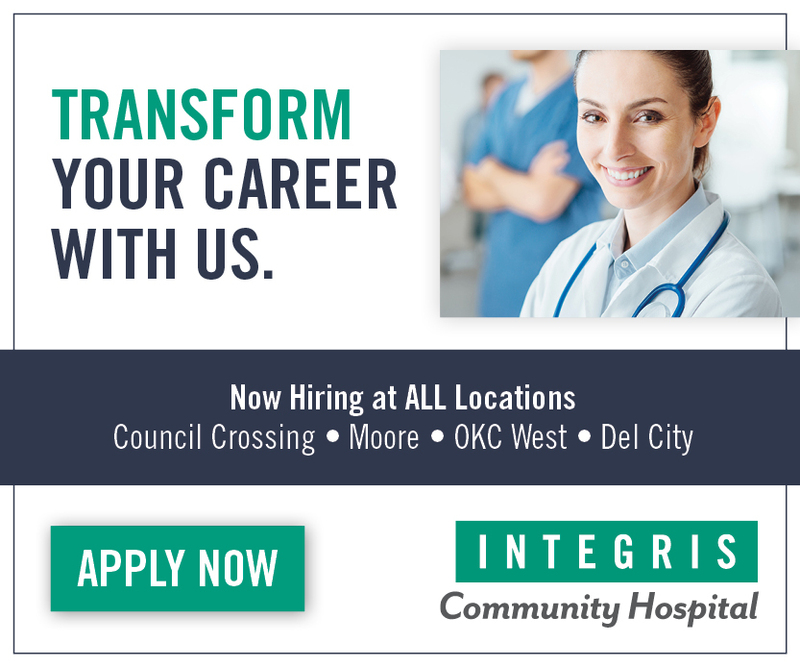 friendly, small community and the resources of Oklahoma’s largest healthcare provider. fishing and every other type of outdoor family recreational activity. dedicated to the health and wellness of eastern Oklahoma. call Melissa at 918-558-8028 or email Mfinklea@saintfrancis.com. **View program details at studentaid.ed.gov. 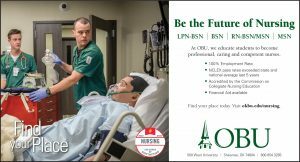 Angie Hattler, RN, Director of the Student Health Center at Southern Nazarene University tends to Baylor Redwine, Senior student. Are you one of those people that feel like you have to stay busy all the time? Apparently, Angie Hattler is. 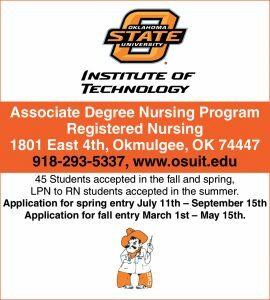 Angie is a pleasant individual that is an RN, Director of the Student Health Center at Southern Nazarene University Campus and is an Infusion nurse at Option One Infusion Pharmacy. Going from one job to the other, Angie’s focus remains on her patients. With a southern accent, a big smile and a bubbly personality, it is obvious that she is happy and loves helping her patients, and likewise, her patients love her. Angie has been a nurse for 7 years and has been working at SNU and Option One Infusion Pharmacy for 5 years. She grew up in Jonesboro, Arkansas and came to Oklahoma, attending OCCC for her RN degree and received her BS degree from SNU. “I am a very positive person. I have a strong work ethic and a solid relationship with God. I live a happy, healthy life,” she said. Angie has always had a desire to help others, in one way or another. “I came to SNU when I was 18 years old, starting off with a nursing major and changed to education. I taught Biology and Science in the Yukon Public Schools for 18 years, then went back to achieve my other passion of being a nurse. 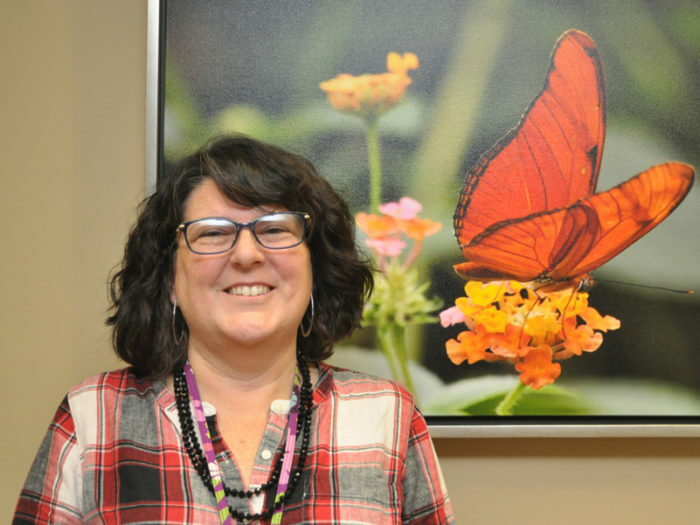 It is amazing how much my education degree has helped with my medical degree,” Angie said. The favorite part of Angie’s job is the fact that she loves working with patients, students, families and making a difference in people’s lives. 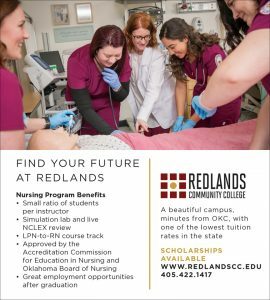 “An awesome asset of being an RN is knowing that there are a million opportunities in the medical field due to different aspects of being a nurse. I love my job but since I love learning too, I am going to get my certificate for cosmetic nursing (Botox and filler classes) next week in Colorado. I just want to keep working and learning,” she stated. What is your biggest asset at work? “Having amazing people to work with. At SNU, I have an amazing doctor to work with, who is not only my boss, but is a precious mentor to me, Dr. Ami Siems. She answers all of my crazy questions, teaches me daily and is so kind. There are other ladies that I enjoy working with. It is a fun place to work,” Angie replied. “We laugh a lot!” she added. If Angie were to give advice to someone going into the medical field, she would tell them, “Stay with it! Work is hard and your job will be hard but when you are finished, you will be so glad you stuck with it, not giving up. You will make people healthy and you will have a great sense of doing well in this world. Being in the medical field, you can be a different maker every day. Wellness includes 3 things; physical health, mental health and spiritual health. Being an RN, you get to teach all of them every single day. I love my job,” she answered. Angie has two sons, Tyler, 25, a 2016 SNU graduate and currently an OKC firefighter and is married to a precious girl Haley. Angie’s other son, Trenton, 21, is a business major in his junior year. “One of the most important things to me is making sure my 2 sons get a good education. I am so proud of my boys,” Angie said. Even though Angie works 2 jobs, she still has time to spend with her friends and family. She enjoys spending time working out, walking, running and bike riding, going to sporting events and working in her yard. Ending with a little humor, I asked Angie if there was a certain incident that happened to her when she was a new nurse. “Well, when I first got out of school, I worked at Oklahoma Heart Hospital and the charting was INSANE! Going from teaching to nursing, charting was very difficult for me. As a teacher for 18 years, I made sure to write in complete sentences. As a nurse, when it came to charting, everything is abbreviated. I still have a hard time knowing what some of those abbreviations mean,” Angie said. dedicated professionals who desire to make a difference every day. Work in a positive team environment with leaders who value our staff and the chance to make a difference in the lives of those we serve. 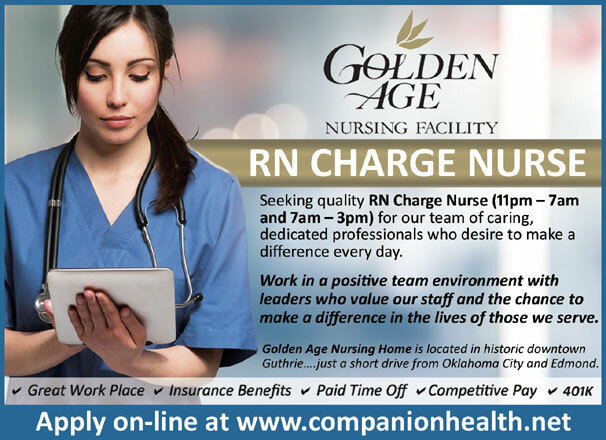 Golden Age Nursing Home is located in historic downtown Guthrie….just a short drive from Oklahoma City and Edmond. Mandy Nelson, APRN in the medicine specialty unit at OU Medical Center, was named Nurse of the Year in the Advanced Practice category. The March of Dimes Oklahoma Chapter recently honored an OU Medicine nurse at its annual Nurse of the Year awards. Mandy Nelson, APRN in the medicine specialty unit at OU Medical Center, was named Nurse of the Year in the Advanced Practice category. 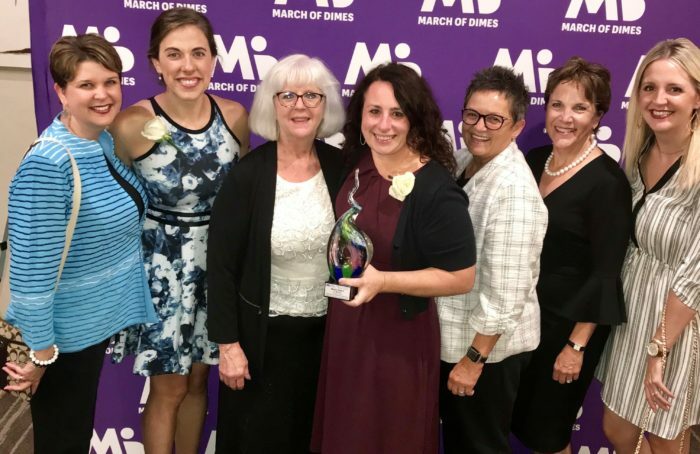 The Oct. 4 event celebrated nurses in more than a dozen categories, all of which were nominated by colleagues, supervisors or families they have served, according to the March of Dimes website. A selection committee of health care professionals selects the most outstanding nurse in each category. Two additional OU Medicine nurses, Callie Tkach, RN in the NICU at The Children’s Hospital, and Susie Jones, APRN and Vice President of Quality/Safety and Nursing Practice at OU Medicine, were finalists in the Neonatal/Pediatric and Advanced Practice categories, respectively. At Grace Living Center-The Wilshire, we strive for excellence in the physical care of the people we serve and are fully committed to assisting their pursuit of meaningful lives. Our mission– and approach to care — is to serve people with compassion and dignity. individual education funds, matching scholarships and the promotion of a career ladder. 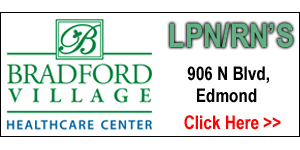 We are a skilled nursing and rehabilitation center that also provides longterm care. Our mission — and approach to care — is to serve people with compassion and dignity. Employer. This location is independently owned and operated. The March of Dimes recently held their annual awards banquet and, as usual, INTEGRIS was well represented. Etta Nelson from INTEGRIS Canadian Valley Hospital received the night’s highest honor, the Lifetime Achievement Award. Etta has been with INTEGRIS for 44 years and is most deserving of this prestigious accolade. 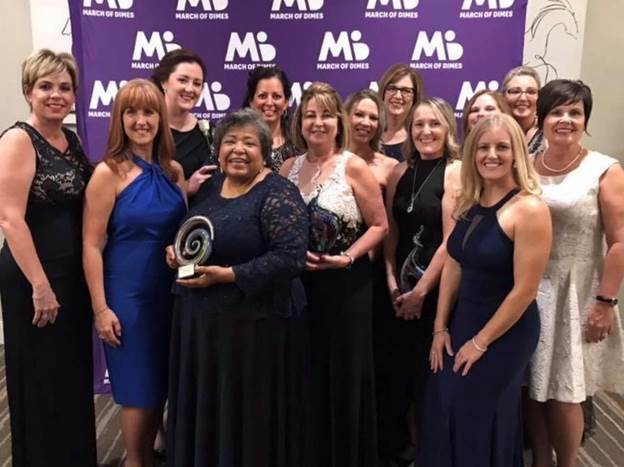 In addition to the Lifetime Achievement Award, INTEGRIS also had 19 Nurse of the Year Finalists; five of which actually walked away with the prize. You’ll notice all of our winners come from INTEGRIS Canadian Valley this year!!! The coveted award is designed to recognize nurses who demonstrate exceptional patient care, compassion, and service and play a critical role in improving the health of Oklahoma’s residents. 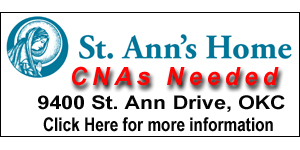 Need RN’s to work in Clinic’s, Early Intervention, Children First and Medical Facilities. Apply online at http://jobs.ok.gov using the keyword “State Department of Health” or bring a resume. The Edmond Republican Women’s Club donates books to babies born at INTEGRIS Health Edmond. It’s part of the Babies First Book program. 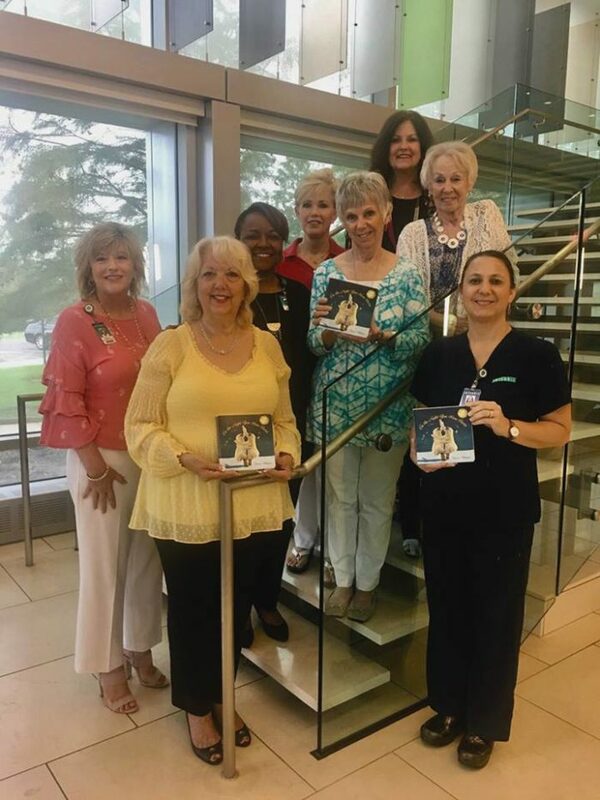 The book “On the Night You Were Born” was given to all of the babies born at the hospital during the month of September in honor of National Literacy Month. This is the third year the group has made this type of donation. 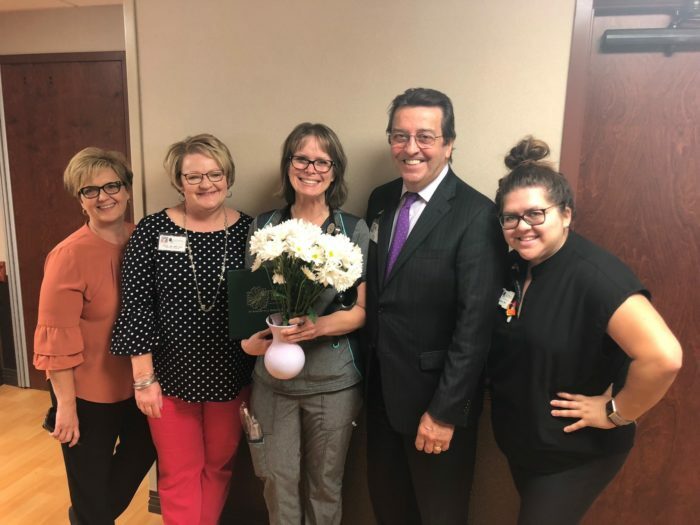 Tammi Holden, MAAL, BSN, Chief Nursing Officer; Glinda Huitt, MSSL, BSN, OCN, Assistant Vice President of Nursing; CTCA Tulsa DAISY Award winner Judy Charles, SCU, RN; Jay Foley, CTCA Tulsa CEO; and Maloree Hamel, BSN, RN, Special Care Unit Manager. Loving your job and enjoying what you do is not a something everyone experiences. Judy (JT) Charles, SCU, RN at Cancer Treatment Centers of America (CTCA) Tulsa, is one of those lucky few. And her patients and their caregivers appreciate her positive attitude. JT has been with CTCA Tulsa for a total of seven years and was recently recognized with a DAISY Award. 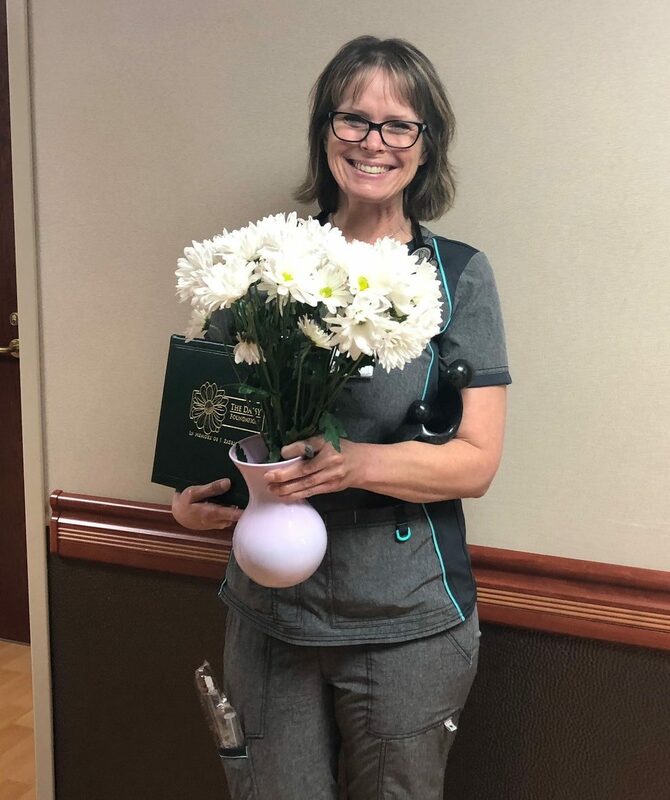 CTCA is a hospital-partner with the international DAISY Award program, which highlights and rewards one nurse per quarter for extraordinary, compassionate and skillful care demonstrated in their everyday work. After growing up in Sand Springs, JT has lived in Verdigris and Inola for the last 26 years. She received her BSN from Langston and went on to get her MSN from the University of Oklahoma. Her passion for the medical field continues through her volunteer work. She has provided medical support for Cheyenne Frontier Days Contract Acts-Security. She also served eight years with the United States Army Reserves. Family is important to JT, and her passion for helping others has been passed down to her three kids. Raevyn, her oldest, is an Intensive Care Unit nurse in Tulsa. Shelby was a CNA for two years and is now finishing cosmetology school, while her youngest, Chance, is finishing high school and hopes to join the Marines. When JT is not working with her patients, she enjoys nature and the outdoors. Others in the hospital see JT having an extremely positive effect on the patients and families she comes into contact with on a daily basis. 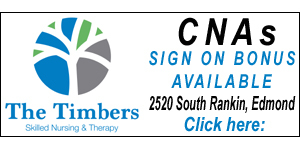 Need LPN’s with six years of experience in health care settings to work as Surveyors. Some positions require extensive 2-3 day overnight travel. Apply online at http://jobs.ok.gov using the keyword “State Department of Health” select Clinical Health Facility Surveyor II or bring a resume. Changing Lives One Day at a Time. Q. Lindsey called to make an appointment. She shared some basic information, we set the date but before we hung up, Lindsey asked if I prescribed drugs. I told her no and she immediately cancelled her appointment. Why are people asking for drugs to solve their problems? A. I do not have prescription authority, nor do I want to prescribe drugs. It is a liability that I do not wish to experience. Nor do I want people to attend therapy and look to drugs for the answer. If it looks like medication might be necessary, I have doctors for referral, but it is always as a last resort. The ease in which people are obtaining drugs is alarming. I recently talked with someone who told me about paying $200.00 cash for a month supply of Suboxone, NO QUESTIONS ASKED BY THE DOCTOR. According to this source, the waiting room was full. Do you know how many people tell me on the phone or during their first therapy session that they are Bipolar and take meds? During the assessment I ask them to describe their episode or episodes of mania. They often look at me like I have two heads and state, “I don’t know what mania is” or they say “I have never been manic.” I explain the symptoms for mania to make sure we are talking the same language and again they reply with “no mania.” But they are medicated. Susie’s doctor prescribes an anti psychotic for anger dyscontrol. One of the side effects is weight gain. Susie puts on an extra 20 pounds quickly. Her doctor prescribes another medication to decrease her appetite. She is also taking a pill for depression. She starts having stomach discomfort so she gets a pill for acid reflux. Now she is constipated so she gets a pill to make her go to the bathroom. If you think this is fiction, you are wrong. It is being played out all over America. And Big Pharma loves it!!!!! They are getting richer and richer and Americans are more drugged than ever!!! We cannot continue this craziness!!! Therapy is not about taking drugs to solve your problems. It is about doing the work. Sometimes it is hard, you cry, you get angry, you get insight and you get better. But you have to do the work!!! There is no magic pill!!! 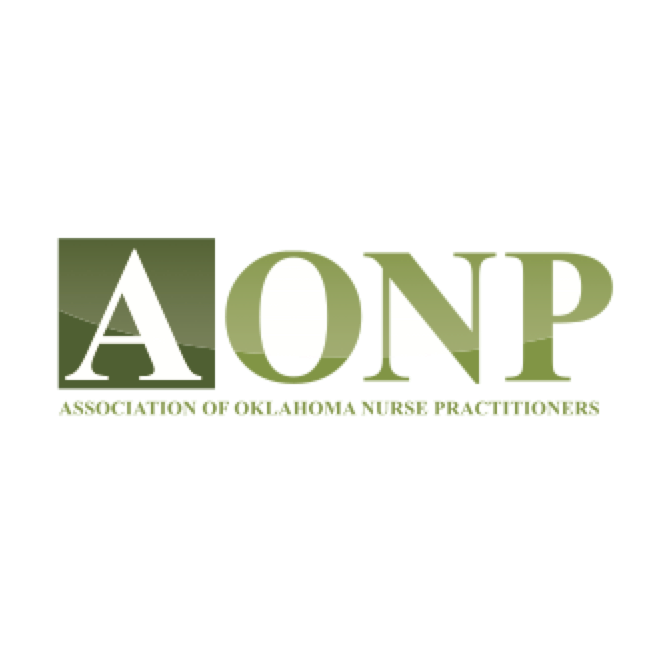 The Association of Oklahoma Nurse Practitioners announced that early registration is now open for the organization’s annual conference. The conference will take place Oct. 17-19 at the Renaissance Hotel and Convention Center in Tulsa. “After several years at the same venue, we wanted to give our members a new experience, and this makes the conference more accessible for those in the Tulsa area who couldn’t attend in the past,” said AONP President Margaret Rosales. The annual AONP Conference has grown to host nearly 400 nurse practitioners from across the state. The conference will offer workshops and seminars on a range of health care topics, including hypertension, obesity, coding and reimbursement and legislative advocacy. Conference organizers are offering discounted registration rates for students and for AONP members. Early registration discounts continue through Sept. 30. 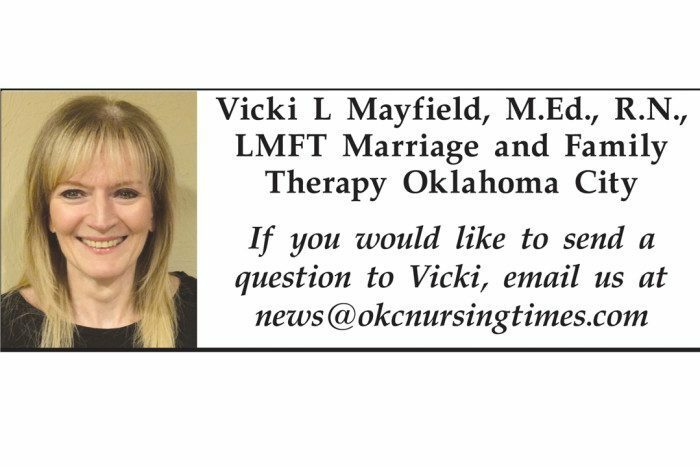 Conference sessions will be submitted to the American Association of Nurse Practitioners and to the Oklahoma Board of Nursing for continuing education credits. For more information or to register for the conference, go to npofoklahoma.com. The Oklahoma Medical Research Foundation is seeking volunteers who have been diagnosed with sarcoidosis to provide blood sample donations for OMRF’s Sarcoidosis Research Unit. For the studies, OMRF also needs healthy volunteers to serve as controls. Sarcoidosis is a rare disease where cells in the immune system that cause inflammation overreact and cluster together to form tiny lumps called granulomas. These granulomas can form in the eyes, liver, skin and brain and most often are found in the lungs. If too many of these granulomas form in a single organ, they can cause the organ to malfunction or even fail. The disease strikes 39 in 100,000 African Americans, versus only 5 in 100,000 Caucasians. A recent study showed that the mortality rate is nearing 7 percent. OMRF’s Sarcoidosis Unit, which launched in January, is the only one of its kind in the state. It’s funded with a federal grant from the National Institutes of Health. For this research study, participants will undergo a screening process, complete questionnaires and donate a small blood sample to be used for research. Volunteers will also be asked to provide consent to review medical records and request previous biopsies related to the disease. No treatment is administered, but the information gathered can give researchers a clearer picture of the disease and how it progresses. The blood samples will be examined in the laboratory to look at the genetic makeup of patients versus healthy controls to help scientists identify triggers or biomarkers for the disease. In less than a year of operation, OMRF’s Sarcoidosis Unit has already made significant strides in better understanding the disease. Montgomery said the goal is to enroll 200 patients in this new research study and match them with the same number of healthy controls. Participants will be compensated $20 per visit for their time and effort. To participate in the study or for more information, please call the Sarcoidosis Research Unit at 405-271-2504 or toll-free at 800-605-7447 or email sru@omrf.org. Funding for the study was provided through grant number R01 HL113326-06A1-05 from the National Heart, Lung and Blood Institute.